If you are training your dog to protect you and to bite other people you have a big liability on your hands if the dog does not have excellent obedience. If your dog breaks away from you and bites an innocent person you have an instant lawsuit on your hands. That’s something no one wants, but many people don’t think about that either, when first getting involved with training protection. The liability with a dog that is trained to bite is high because we teach the dogs to think on their own in certain situations, if a situation is mis-read by your dog you need to be able to control them, and ensure the next biggest reason. SAFETY. Your dog’s obedience is a key determining factor if I will decoy for you. I want to know that I’m safe, that the dog will be under control at all times. This is imperative to my safety, your safety, and other’s safety. I’ve seen out of control dogs, go up the leash and bite the handler, or come off a bite and re-bite the decoy’s face. That’s not a good situation for anyone. When a dog is biting and has been properly trained that’s the best reward they can get! They also need to realize that they must be in control to get the reward. Only the threat gets bitten in very particular situations. Training dogs for obedience is in all reality, very simple but many people, protection dog owners and pet dog owners alike, simply don’t take the time to properly train it. That’s why I’ve got a job! In all seriousness, dog obedience is a key fundamental in any home for a well behaved and controllable dog. It also keeps many more people safe, and you don’t have to worry quite as much about your dog’s behavior. 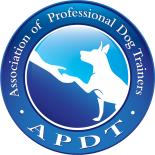 Contact me for more information on why training a protection dog with obedience first is crucial, and it’s not your standard obedience we go above and beyond your sit, stay, lay-down commands. You and your dog will operate as one fluid machine and there shouldn’t ever be any problems.